With Black Panther tearing up the box office worldwide, people are beginning to look for other African films. 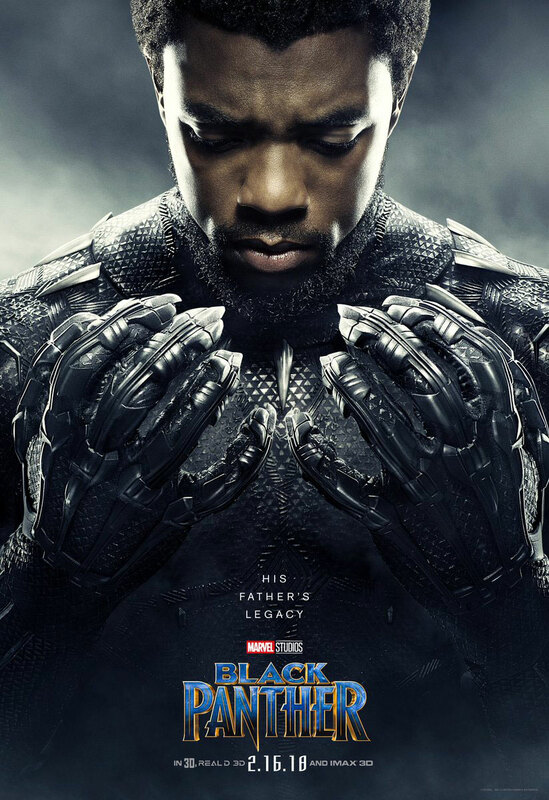 After all, Black Panther is one of the highest grossing films of all time. If it’s that good, then other African movies must be great! Make sure your DSTV is paid up and your DSTV installation is working so you can catch these and other fantastic African movies in your home. Sadly, this is only as true as it is here in the United States. Africa has its fair share of flops and bombs. It also has its fair share of great movies. In fact, if you’re looking for African movies then you’ve got quite a selection. Nollywod, or Nigerian Hollywood, maybe the biggest movie production area but it’s far from the only one. If you’re curious, here are three of the top African films. A Malian production, this film is in some ways a Hollywood movie made in Africa rather than the other way around. Telling a traditional Bambara legend, this is a classic heroic quest story. Westerners will easily recognize a world filled with magic, prophecy and some truly beautiful landscapes even though it takes place in an undefined era of Mali history. Comparable to such heroic fantasies as Lord of the Rings and Star Wars, Yeelen came out in 1987. It was a surprising hit with Western viewers as well as African viewers. It was also one of the first films to truly capitalize on Africa’s then growing home video market, where many other directors were escaping local censorship restrictions as well as opening new vistas for storytelling potential. 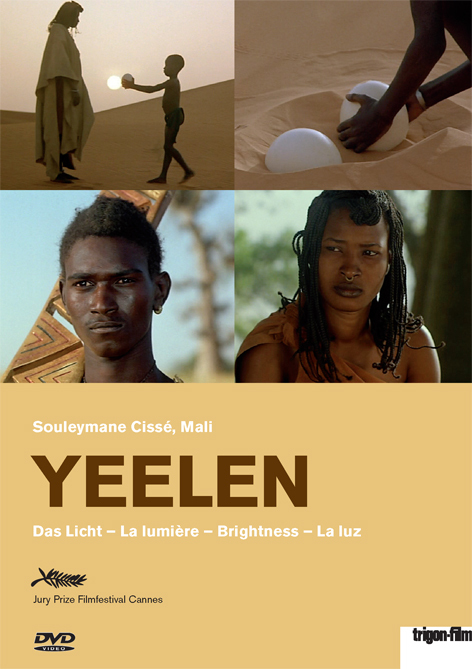 Yeelen might be the best African movie for someone first beginning to search for such things. The world is easy enough to understand and familiar to those who are interested, yet it’s still distinctly African. This movie is also known as Brightness. 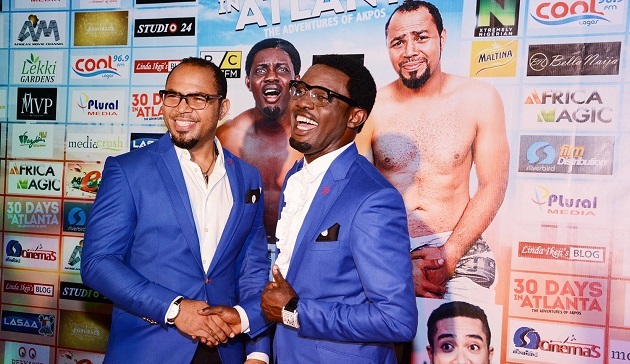 One of the biggest Nollywood blockbusters in African history, 30 Days in Atlanta is a star vehicle for a Nigerian comedian named Ay, or Ayo Makun as his birth certificate says. The movie follows the misadventures of a Nigerian man who heads to the United States for a vacation and struggles to adapt to the alien culture. This film set box office records in Nigeria and was a noted success of the comedy genre. This is rare in Nigeria, where the biggest box office successes are generally romances and dramas. Even the other comedies that have done well haven’t been the same kind of bawdy comedy that Ay is known for performing. The film was blasted by critics in Nigeria for relying on cliches and stereotypes, but much like crass comedies the world over, nothing the critics said swayed audiences from loving the film. 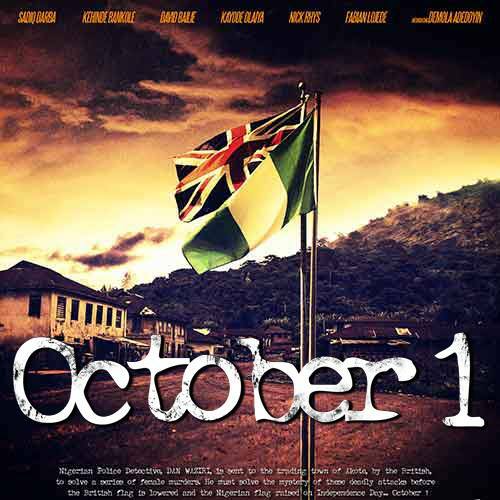 Though nowhere near as profitable as 30 Days in Atlanta, October 1 is more a more typical Nollywood drama film. For those familiar with “Oscar-bait” films in the United States, the artistic feel of this movie will seem quite familiar. This film takes place in 1960, around the same time that Nigeria liberated itself from the colonial influence of the United Kingdom. The story is a dark one, following the investigation of a rural police officer investigating a series of murders of local women. Set against the backdrop of the impending end of colonialism, October 1 has a number of thematic elements that made it a hit despite its high brow concept, among them being the end of colonialism in and its long-term effects afterwards. As good as these movies are, some people may find them off-putting or upsetting. They’re unapologetically African and don’t pull punches in terms of the damages done by the West. However, they’re entertaining movies for anyone who consider themselves a movie buff. Not just that, but they’re great for anyone wanting to see what various African countries find entertaining. Throughout the world you can find all kinds of places that have not yet been disturbed by man made buildings and other structures. 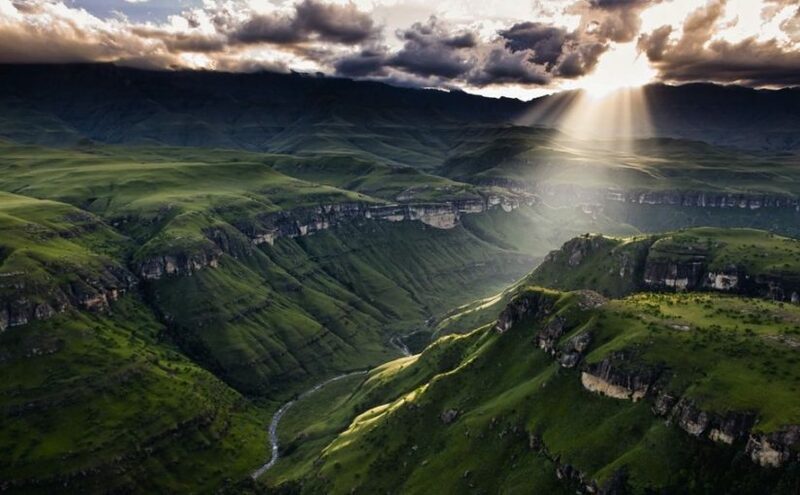 One of the best places to find these untouched lands is the continent of Africa. In addition to the amazing scenes of nature, documentaries about the various countries and people can provide insight as to how the people live in this part of the world. Whether your interests are academic in nature or you simply enjoy expanding your knowledge of the world and want to watch the animals and plants that are found throughout Africa, you can find some great documentaries that will help you to achieve your goals. There have been countless records made all over the continent ever since the first recording devices were in use. Of course, with so many different videos out there, it can be challenging to find ones that will suit your needs. For instance, those who are interested in finding out more about the animals who live there would be much more interested in a documentary about the primates who call the land home while someone who wants to learn about the diamond industry would have completely different requirements for finding a good documentary. So, the first thing that you should do in order to create a list of the three best documentaries based in Africa is to determine the subject matter you want to study. This will allow you to narrow the search parameters and help you to see the documentaries in the sub genre related to your African queries. You will want to read plenty of reviews on the documentaries that you are thinking about using so that you can confirm the type of information and the quality of the production. While an average rating might help to give you some insight, it will not tell you if the documentary contains the type of presentation that you are interested in finding for your African studies. If you are looking into a specific subject matter that occurs in the area, you might want to see what types of documentaries are talked about in scholarly circles to find out more. For instance, if you want to learn more about the animals that live there, see what scientists who study those animals are watching and participating in. When you have documentaries with authoritative sources presented within the video, it is generally more credible and comes with a higher budget for production. One of the areas than many documentaries are focused on is the Kruger Park in South Africa, which is large than the United Kingdom country of Wales. 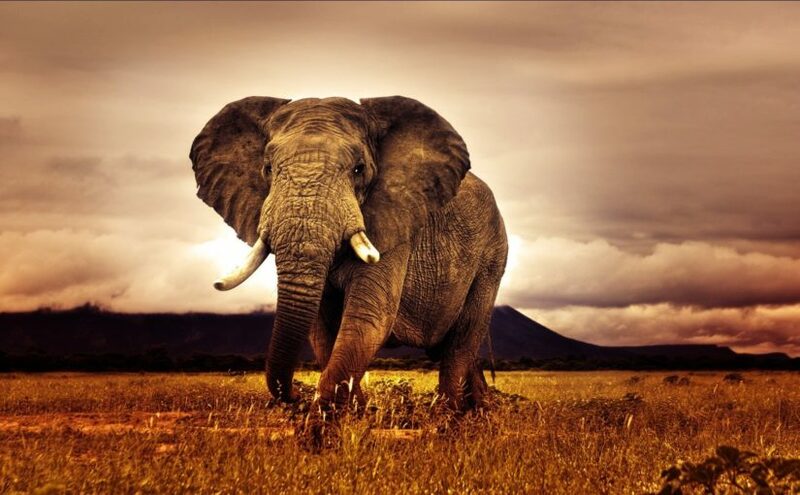 It is an amazing refuge for animals in Southern Africa and world famous. Many of the film makers will stay in Nelspruit, which is the closest city to the park and has a number of fantastic Nelspruit accommodation options for film makers. It also has everything the modern world has to offer allowing it to be a perfect hub for budding film makers. You will surely enjoy the top three African documentaries that you discover and might find that you enjoy the work by the producers that you add more videos by them to your list of documentaries to watch. This way, you will be able to have something enjoyable to see that will expand your horizons and teach you more about the world around you. These are an excellent resource for those who cannot travel to distant lands but want to learn more! District 9 is a modern sci-fi cult classic from explosive filmmaker Neil Blomkamp. Released in the late summer of 2009, it resonated with a global audience and left an immediate mark. It managed to blend impressive special effects with a gritty, realistic found footage-styled narrative that thrusts the viewer right into the story. Its ability to both dazzle as a summer spectacle but also make its audience reflect upon themselves and the state of the world and our humanity as a whole is among the most effective examples of social commentary within genre film making. The film shows us an alternative reality wherein Johannesburg, South Africa has been turned upside down after an alien vessel appeared over its skies. While the residents of the area are repelled by the aliens housed inside, the audience learns soon enough that they’re actually quite human. They don’t wish anyone on our planet harm, and yet they receive nothing but the most cruel treatment and complete segregation from regular society. This is where the title of the film comes into play; District 9 is the name of an internment camp used to section the aliens off from. Of course, no action oriented science fiction film ever gets up and running without some degree of adventure. One of the aliens – the immensely lovable and identifiable Christopher Johnson – takes it upon himself to attempt an escape. His wish is for nothing more to take his son and return back to their home. The human lead of the film, Wikus van der Merwe (as portrayed by Sharlto Copley), complicates matters after confiscating one of the pieces of technology Johnson had been hoarding. After being sprayed in the face with a liquid contained within, Wikus finds himself slowly turning into an alien himself. Though initially a bureaucrat with very little care for the aliens himself, Wikus’ new dilemma shows him first hand just how dismissive society can be upon realizing someone else isn’t quite the same. 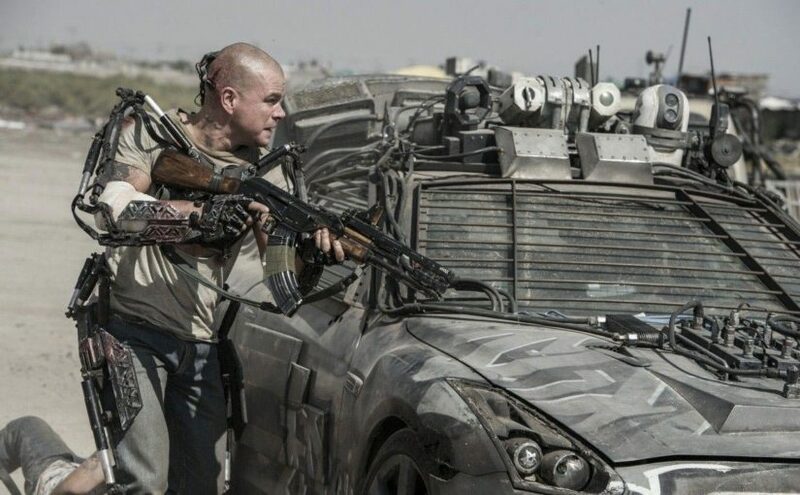 The military company overseeing the camp intends to treat him as a lab experiment to understand the nature of the transformation (and the alien DNA at large), but he escapes and is forced to take refuge in District 9 itself. His name is then slandered, subjecting Wikus to incredible public scrutiny. Christopher Johnson and Wikus ultimately work together, with the alien hoping to find his way home in return for helping find a cure to the new transformation. Nothing goes quite as planned however, and the story goes on to take many twists and turns from there. Amidst high tension drama and incredible action, District 9 ultimately serves as a nod to real life events such as District Six in Cape Town and the apartheid era of South Africa as a whole. It is truly gripping and has become one of the most well regarded modern classics, and the achievement is nothing short of impressive given that the earliest stages of the film’s development began as little more than a video game adaptation! If you haven’t given it a shot, it’s well worth a viewing. If you are interested in learning more about the world, then the beautiful continent of Africa is a wonderful place to begin. The land is filled with gorgeous plants and animals that are sure to provide countless hours of enjoyable learning. One of the ways that you can go about gathering information about nature in Africa is documentaries. These are an excellent resource for folks who cannot travel to the distant land. You can find the four best African nature documentaries by searching online or your favorite video sites. It is important that you know what type of information you are seeking so that you can find ones that will be pleasing to you. For instance, some of the nature videos show graphic images of predator and prey in their natural roles while others don’t show the actual kill taking place. If you are going to watch the video documentaries with people who are squeamish about blood and violence, you should make sure you find this out before you start clicking on which ones you want to watch. The land of Africa is one of the most favored places for nature documentaries, in part because the land has not been as developed as in many other parts of the world. You are sure to love the images of pristine landscapes and wild animals. When you are looking for the best African nature documentaries, you can find reviews to see what others have said about the video production. On many sites, you can even used advanced search filters in order to narrow the parameters to only show well-rated videos. Alternatively, you might be able to have the African nature documentaries arranged from most popular to least popular in order to find the most beloved of the videos reviewed on the site. Generally speaking, big budget productions will provide a higher quality video for you to watch. However, smaller productions might have more insight because they are not forced to adhere to the financiers’ demands for what can and cannot be shown in the documentary. This is just one of the factors that can influence the quality of the documentaries that you are borrowing. While you might be interested in watching African nature documentaries, you should not limit yourself to those that have been made in recent years. The Savannah and rest of the continent has been recorded by pioneers whose work is still valuable today. Watching the life cycles and patterns of the animals will be essentially the same, whether the images were taken fifty years ago or yesterday. However, newer documentaries will provide greater insight based on the knowledge that has been accumulated since then. Whether you are interested in buying or renting the documentaries, these suggestions will help you to choose four of the best African nature documentaries that are available for the public today. You and others are sure to enjoy the experience of learning more about this amazing continent and the inhabitants.